Since arriving in the United States nearly 7 years ago I have tried many new types of food that I had not tried while living in Mexico. If you take a quick look at the recipes that I share here on my blog, you will see that I share recipes from all over – not just from Mexico. That said, I do try to incorporate as many Mexican flavors into my recipes as possible. One such food that I had never tried before coming to the United States was the famous cheese ball. To be completely honest the idea of a cheese ball didn’t sound too appealing to me at first. That all changed the first time that I tried it! 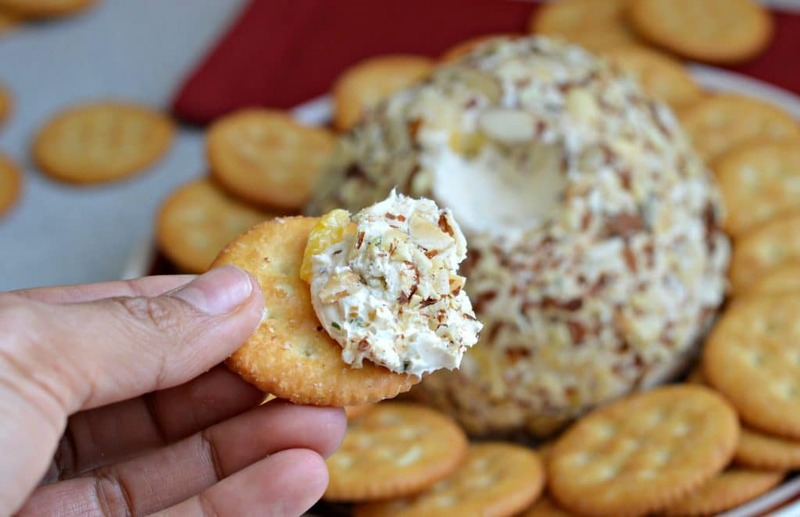 One of my brothers-in-law makes his version of a cheese ball every year around Christmas. Last year I decided to try it, and I loved it! I am so glad that I decided to give it a try, because I was missing out! I don’t have his recipe, but I did decide to come up with my own and I want to share it with you today. As you probably know, Mexican food is known for being spicy, so I definitely wanted to incorporate that characteristic into this recipe. That is why I decided to include shredded pepper jack cheese, and chopped jalapeños in this cheese ball recipe. Another thing that I have learned here in the United States is that bacon makes everything better. With that in mind, I also decided to add some delicious bacon bits to the cheese ball to give it that extra crunch and smokiness. Finally, to give it a bit of sweetness, I also included some freshly chopped pineapple. This recipe is really easy to make, and I promise that it will be a big hit! 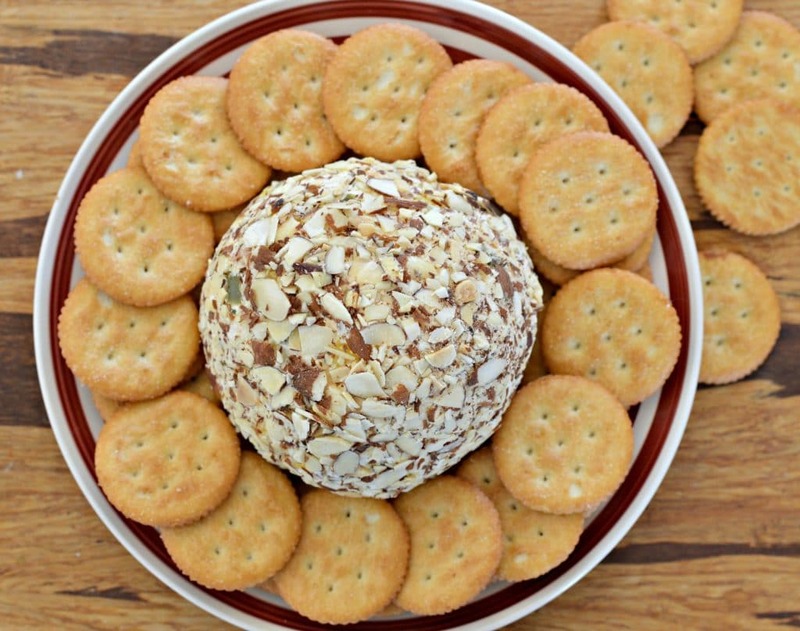 Of course in order to enjoy a cheese ball you have to have something delicious to eat it with. 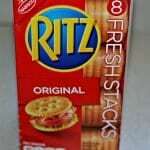 My cracker of choice to go along with this cheese ball are RITZ Original Fresh Stacks. 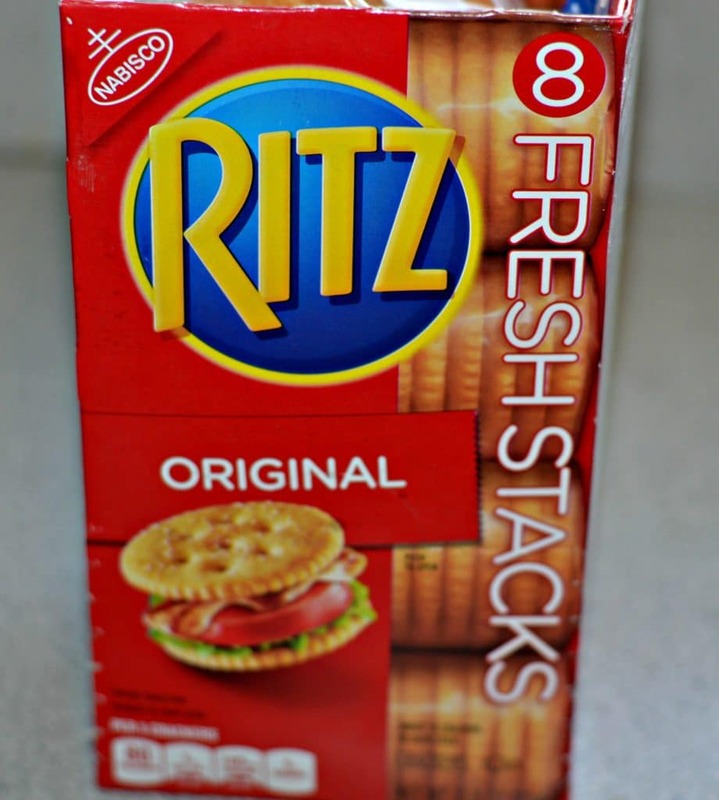 I have always loved RITZ Original crackers, and now they are even more convenient because RITZ Original and all varieties, including RITZ Ultimate Butter (which is available for a limited time only) come in Fresh Stacks so they are easy to take on the go – or to enjoy with this delicious cheese ball. 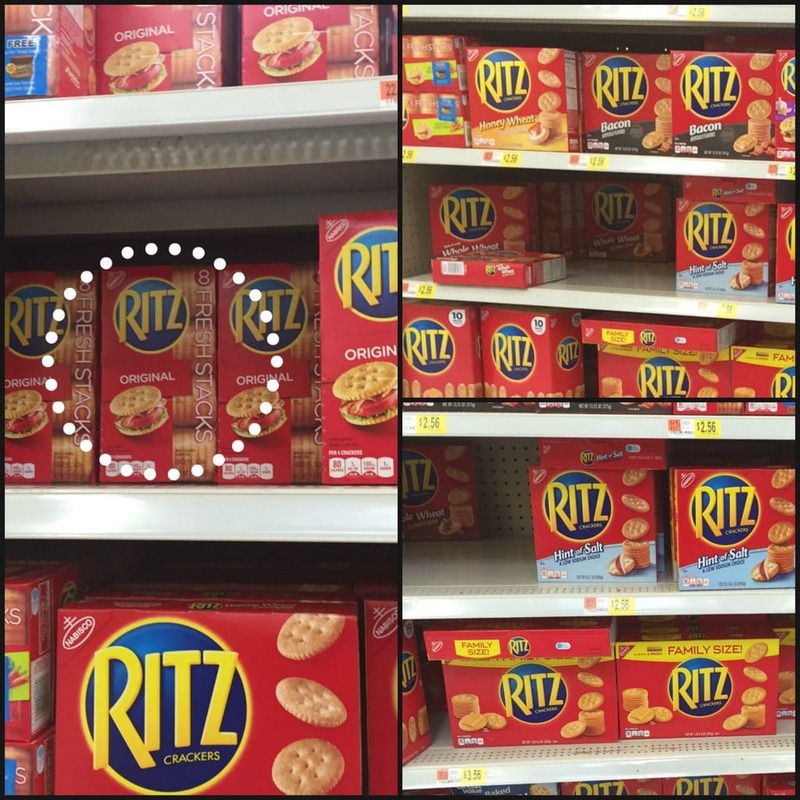 You can find RITZ Original Fresh Stacks and other varieties at Walmart in the crackers section. I made this yesterday while my husband was at work, and I have to say, once he got home and we started eating it, this cheese ball did not last very much longer! I hope that you enjoy it, and let me know how it turns out in the comments below! 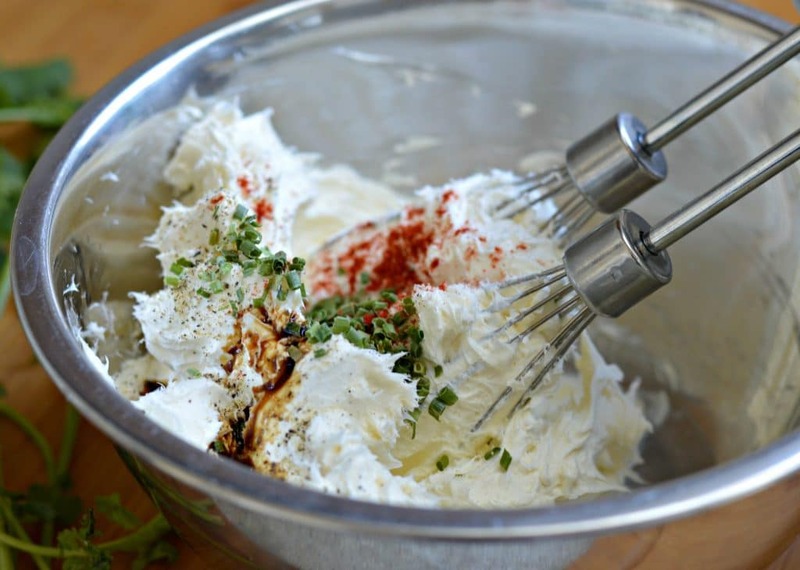 Remove the cream cheese from the refrigerator so that it is at about room temperature. Combine the room temperature cream cheese, and all of the rest of the ingredients except for the almonds in a large bowl. Mix well with a mixer or by hand. 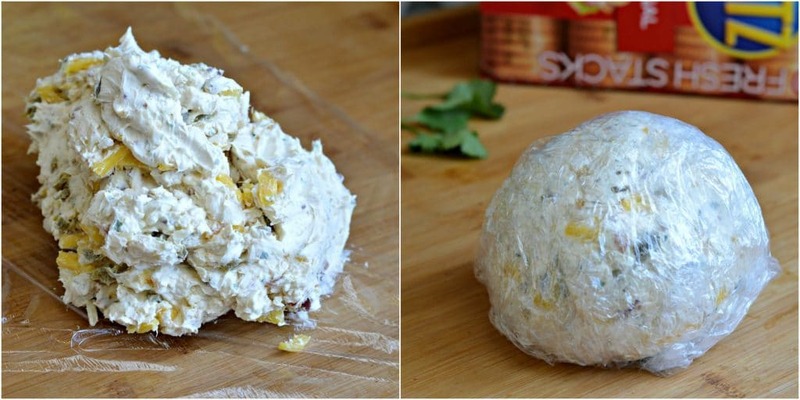 Remove and form a ball and then wrap in plastic wrap. Remove from refrigerator and coat in chopped almonds. « Mil hojas con crema y fresas, un postre fácil y rápido! This has two of my husband’s favorite flavors, so I know he will like it! Looks great! I love cheese balls and this one have some great flavors in it. I’ll have to give it a try for sure. I hope you do and that it turns out delicious! Looks awesome! I always look for new recipes for entertaining & this looks perfect. YUM! I just realized that this recipe has pineapple too! 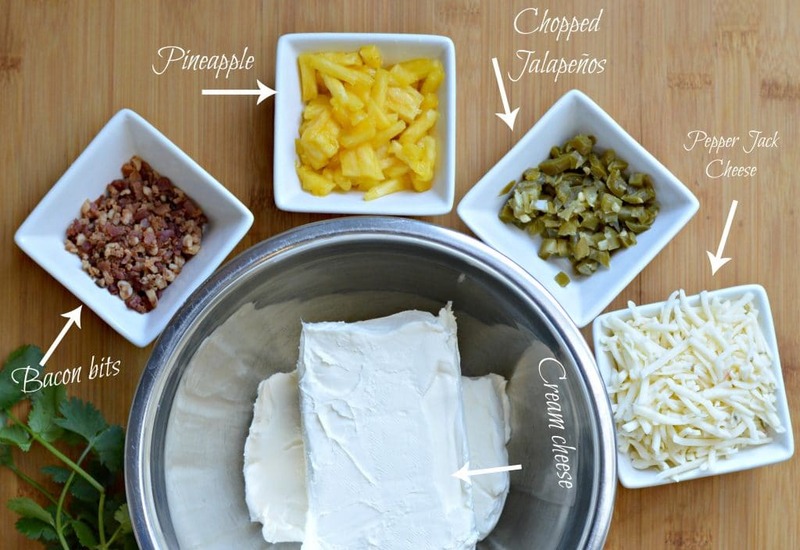 I have to make this sometime… sounds so delicious! Yes it does! 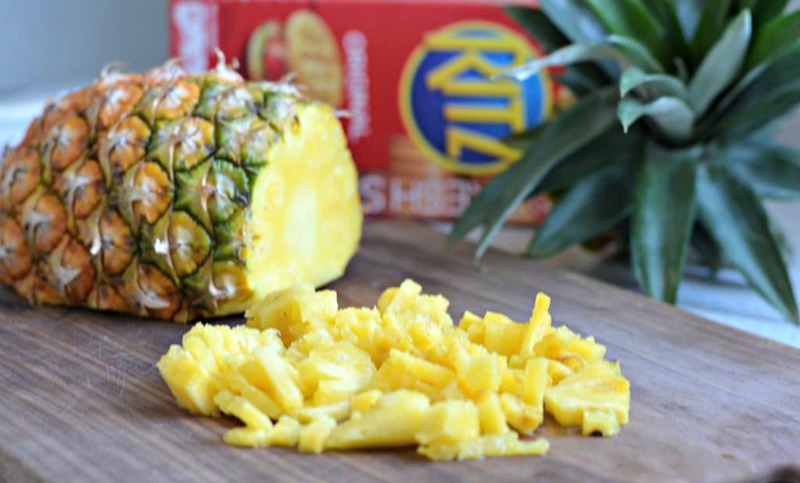 Pineapple makes just about anything better. This is a great appetizer to share, but it looks so flavorful I’m not sure I will 🙂 Love those buttery Ritz crackers! Wow this looks so different and delicious! Thanks! I hope you like it – it really is delicious. This looks so good! Love the idea. It’s like a jalapeno popper without all the hassle!